Bowles provides high quality outdoor education. We do this through passionate, well qualified staff, fantastic activities, amazing facilities, home cooked food and an ethos of learning and development throughout everything we do. The role that your instructors play in the quality of your visit is crucial. This is why the Bowles instructional team are some of the best you will come across. 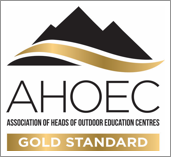 All our staff are passionate about the outdoors, highly qualified, and are not only experienced in teaching sports but also are very personally active within outdoor sports. 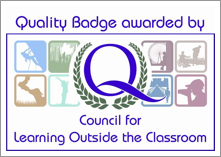 Many of our staff hold high level qualifications that are above and beyond the minimum requirements that other centres offer. We also employ a number of qualified teachers within our staff team and all staff take part in regular staff training and CPD events. At Bowles we understand it’s not just the activities that make up your residential experience. Bowles provides three home cooked meals a day, free fruit available all day and hot chocolate in the evenings. We have a modern dormitory block that can hold up to 104 people with 6 beds in each room. In addition our lodge building can hold up to 38 people in with 2-3 beds in each room, with the added bonus of ensuite showers and toilets. We have our own woodlands which the residents can use plus various indoor games rooms and an all-weather AstroTurf pitch with a basketball hoop and balls. A normal Bowles day starts at 9.15am and runs to 9.15pm. There is a 1 hour lunch break and a 2 hour dinner break (which includes some free time and the option of a free swim in our indoor pool). The rest of the time the young people will be taking part in activities such as skiing, kayaking, climbing, zipwire, ropes courses and teambuilding. Most of our activities are floodlit and can still be done in the evenings when the days are shorter. Bowles is extremely lucky to own its own sandstone cliff with over 300 climbing routes, two dry ski slopes, an indoor heated swimming pool, various ropes courses, purpose-built team building activities, an archery range and an orienteering course. We also have use of our own private lake and access to local rivers. Our equipment is some of the best around and well maintained to the highest standards. We are proud to have a fleet of Jackson Kayaks designed specifically for children (regarded as some of the best boats money can buy). Our team building equipment is more than just a rope and a plank of wood, we have real swamps to cross and our own forest with numerous team building challenges and tasks. 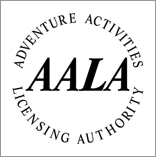 Bowles is fully licensed by the AALA and we hold the Gold standard from AHOEC. 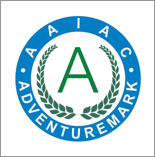 In addition we have been awarded the Adventure Mark Certificate and the Learning outside the Classroom quality badge. Bowles has an excellent safety record and rest assured that safety is our number one priority. Be reassured by our highly qualified, experienced and mature instructors and our comprehensive safety management system. WARNING – you may experience real changes in your children. Don’t tell them, but we make them clean up after themselves – children have even been known to come home and clear the table!